I wish Chocolate Ice Cream was as easy to make as Cook’s Illustrated would have me believe, but it appears that it is not. I’m not sure where exactly I went wrong with my execution, but I think it was with the cream. Cook’s clearly states “whip to soft peaks,” but I have a feeling I over-whipped it, and because of this it didn’t completely fold into my chocolate mixture. This seems like a relatively easy fix for next time, so I’m going to try it again (soon – it’s too hot out to eat real food these days). The flavor of the ice cream was good, if a bit too sweet for my taste, and the texture (aside from the self-inflicted lumps of cream) was smooth. Not bad for a super quick ice cream recipe, but you know what’s quicker? Buying a pint of Batch. Combine espresso powder and water in a large bowl, let stand until powder is dissolved. 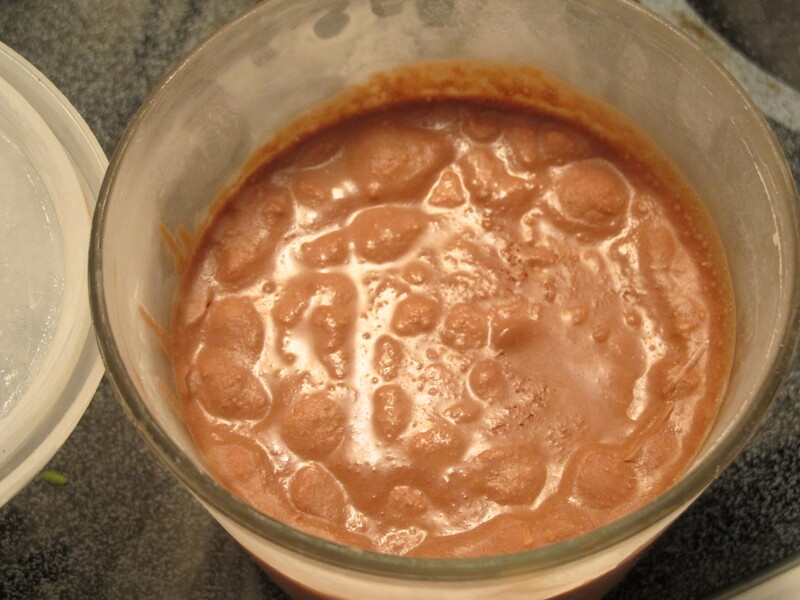 Microwave chocolate, milk, and coffee mixture until chocolate is melted. Stir in vanilla and salt, let cool several minutes. Whip cream to soft peaks (DO NOT OVER WHIP). Whisk 1/3 of cream into chocolate mixture. Fold remaining cream into chocolate mixture until incorporated. Freeze in an airtight container for at least 6 hours. Voila.